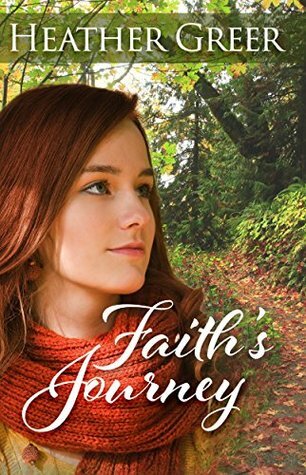 Faith’s Journey (2018) is a wonderful standalone novel by Heather Greer. This book comes in all forms including eBook, and is 258 pages in length. With a full-time job and a very busy six-year old at home, this novel took me three days to read. I purchased a copy of this novel via Amazon on March 6, 2018 in order to review. All opinions expressed in this review are my own. I give Faith’s Journey 5 STARS. This novel is a Contemporary Christian Romance. Faith’s Journey is a really good read. It is engaging and fast paced. The characters are well written, and the conflicts create the perfect amount of tension to keep the reader turning those pages! The main character is Katie and she has a couple of problems. The first set of BIG problems is that she catches her boyfriend in a compromising position. If that’s not bad enough, she receives a call from her father that her elderly mother has taken a spill and has hurt herself badly. They need her help. What a great example of when it rains it pours! BUT, Katie’s biggest problem is that she has sacrificed her relationship with God because of the hypocrisy of church attendants. Because church people behave differently on Sunday than they do Monday-Saturday, Katie has given up on God. Personally, I struggled with Katie. I struggle when people judge God based on the actions of so-called Christians. God is not on equal footing with people. God is Holy and above anyone walking this earth. God is in supreme control, but He allows humans to make choices because He doesn’t want automatons. God wants us to come to Him of our own free will. There is a ton of hypocrisy in the church, but that is NOT God. When people willingly sacrifice their relationship with God because of people, I’m just confounded. It proves they either don’t know who God is for real, or they are choosing to rebel. Katie goes through a little of both. Before you say, dear reader, “Whoa! You’re being kind of harsh on poor Katie and those like her,” know that I am able to make these character assessments BECAUSE I’ve been there. There was a time I rebelled against God, found ways to justify my sins, and didn’t really know who God was because I refused a real relationship with Him. This is the brilliance of Heather Greer’s writing — she perfectly captured the character of a rebellious spirit, and I could see my old self through Katie. Reading this novel was a bit cathartic for me. It made me SO grateful for my current, real, full relationship with God. It reminded me of where I was and how far I have come on my journey with Christ. THIS is why I advocate so hard for good Christian fiction. Good Christian fiction forces the reader to wrestle with personal truths, surrender to God in love, and reconfirm the relationship established with Jesus. And, added bonus, they tell great stories!!! Faith’s Journey does both of these things well. I do have one problem with Katie, and people like Katie, that is totally personal. In no way does this problem interfere or change my 5-STAR rating. But, I struggled hard when Katie took her cheating boyfriend back. NO SPOILS, I promise. I just want to speak on the topic of forgiveness. Faith’s Journey is all about forgiveness. It is a good thing to forgive, but unless the person who did the cheating goes to God and truly asks for forgiveness and help to change his/her ways, a cheater once will always have a cheating heart. It hurts me so deeply when the victim of cheating forgives the cheater only to be hurt again at a later time. The only ONE who can change a sinner is God. Our forgiveness is good, but forgiveness heals the person giving it, not necessarily the forgiven. I wish that people understood this distinction. Many would be saved from a whole lot of unnecessary pain if they recognized this point. Overall, Faith’s Journey is a great read and I highly recommend it. If you are looking for a fast-paced, engaging novel with timeless lessons on faith, forgiveness, and relationship with God, then Faith’s Journey is the book for you! WOW! What a great testimony in your review. Thank you for sharing both! Thank you for a wonderful review and for making it personal by sharing a bit of your own story. That’s what makes your reviews so good! Thank you for the compliment. It was an honor reading your book!!! I agree. 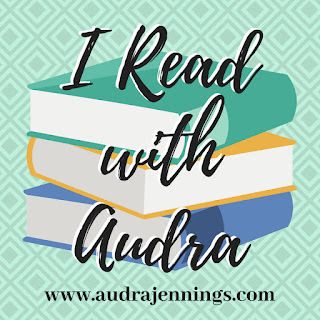 This blogger, The Christian Fiction Girl, is my favorite book review blogger… Christian or Secular. She is so good at bringing a new depth to these stories that when I finally get a chance to read them, I too have a deeper connection and experience with the book. Thus I enjoy the book that much more and am more likely, with great enthusiasm, to refer it to someone else.